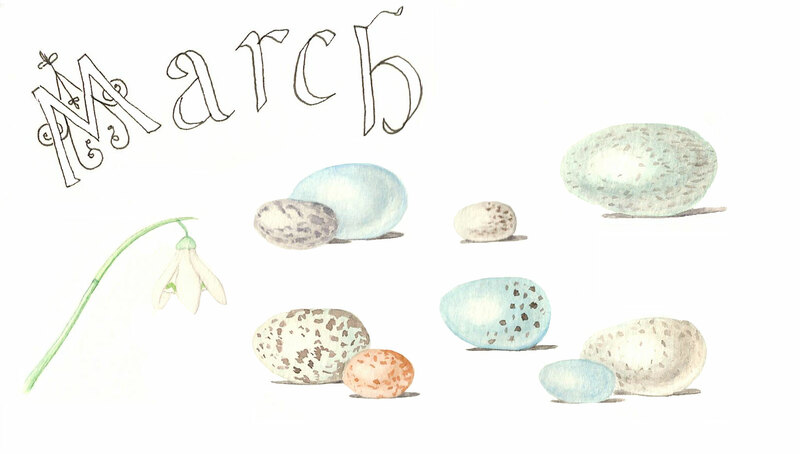 Since March is nearly over I thought it was high time that I posted my March sketchbook page. 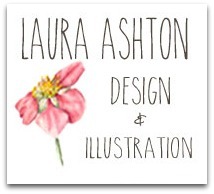 Another little ambition of mine. I like to make a page in my sketchbook for each month recording what developments are taking place in nature. I also like to practice my fancy writing skills, as lately I have taken a strong interest in typography and rekindled my childhood interest in calligraphy. The problem is I am left handed and it is hard to learn calligraphy properly being taught by a right handed person with a right handed pen. So right now I am focusing on gothic style block letters. 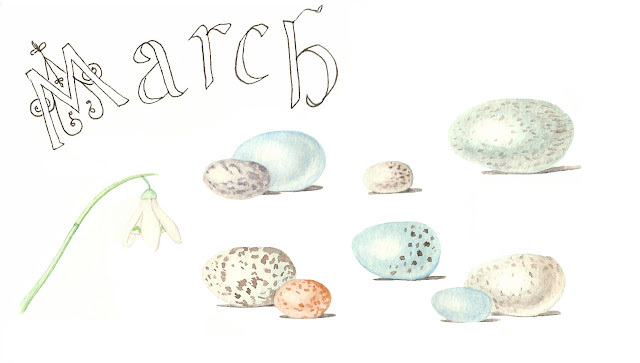 Below is a collection of song bird eggs, inspired by Edith Holden's book, The Country Diary of an Edwardian Lady. Nestled in on the left side is a single snowdrop, I think this balances things off nicely. It is challenging painting white flowers because you have to use grey to create shadows and mid tones, but it all too easily can become a dirty looking flower before you know it. I am really enjoying creating these page in my Moleskin Watercolour Sketchbook I did not know that Moleskin made such a large line of sketchbooks with different types of paper in them. And at last they offer a fantastic sketchbook available with really good quality watercolour paper that can be painted on both sides, erased on and can stand up to wet washes. There is also a handy little pocket on the inside of the back cover to stash notes and trinkets in... or perhaps twigs and leaves? Awesome.. It's amazing. I wish I can draw like that.